As we cross into the second half of September and summer rolls to its chilly end, the calendar is almost back to the most glorious time of year. No, not autumn. I live in Los Angeles where there is no autumn (or winter or spring, for that matter). No, it is almost time for the Fall TV season to kick-off. I’ll be honest. I’m a big TV fan. Huge. 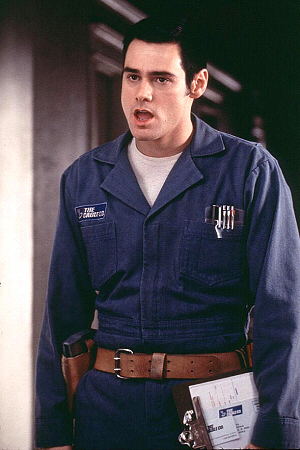 I’m not quite as rabid as Jim Carrey in The Cable Guy, where the obsession goes to dangerous places. More like the guys on The Big Bang Theory, except I’m not into sci-fi and I’ve kissed a girl before. I’ve always been a big sitcom fan. 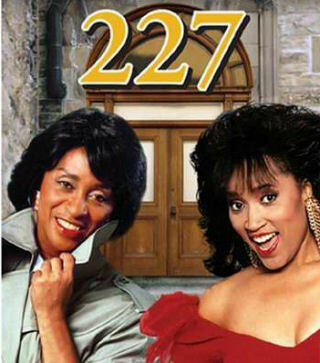 As far back as I can remember I would watch just about any sitcom that was on TV. I was really into Soap for a while in reruns. I got very sick my junior year in high school. My family did not have cable, so as I laid on the couch for a month recuperating from mononucleosis, I became hooked on reruns of Andy Griffith, Gomer Pyle, etc. I remember many Saturday nights as a pre-teen watching the NBC prime time lineup that included 227 and The Golden Girls. Both were obviously shows that I fit the primary demographic for, as a 12 year old Midwestern Jewish male hypochondriac. No matter the case, I kept watching for better or worse. And more often than not, they were worse. I’ve never been a big fantasy or science fiction fan. I find the bizarre characters, alternate universes and odd languages remove me too much from the story as I try to figure out what a Klingon or a Hogwart is. I know people like that stuff. Not me. My wife watches Fringe, a show that has some sort of alternate parallel universe story as its mythology. Huh? I have no desire to keep up with the Kardashians, let alone these physics weirdos. I don’t get into the procedurals, either. I’ve never seen CSI, NCIS or any of that stuff. It’s hard enough to keep track of all the new networks, let alone watch shows whose names sounds like a dyslexic’s worst nightmare. I was recently surprised to learn that CSI and Law & Order were not the same thing. No joke. Never watch ‘em. I know they all have secondary names, like Law and Order: SVU or CSI: LA. Why not just make one big mega-show and call it Law & Order: CSI, the NCIS years. I don’t know what those acronyms stand for, but I’m sure the producers can come up with an explanation. Obviously BC is too young to watch most of the shows that my wife and I like. Likewise, I’m generally too old to enjoy the shows that he likes. 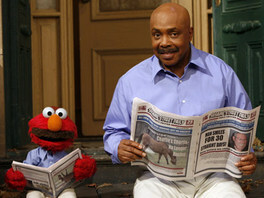 I already told you in my blog entry “From Deadhead to Elmo Addict” how he and I have gotten very into Sesame Street. I know it’s cliché, but the show is somewhat tolerable and he likes Elmo. What I find most interesting about it is that all of the humans who live on Sesame Street are not at all bothered by the fact that 95% of their neighbors are monsters. Given the propensity of studios these days to mix things up to keep franchises fresh, I’d like to see Wes Craven direct an episode of Sesame Street. You know that within 10 minutes Luis and Gordon would be slaughtering Big Bird and sacrificing him to Satan in return for the right to eat Snuffleupagus. That I’d willingly watch. 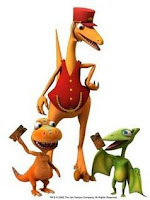 Dinosaur Train: This show is possibly more preposterous than Sesame Street. It’s a cartoon that takes us back to prehistoric times where we meet a family of dinosaurs and their kids. The kids are very curious about other types of dinosaurs and take the Dinosaur Train to other historic periods to learn about them. Um, were the creators unaware that there were no combustion engines functioning in the Triassic period 230 million years ago? Also, when I was in school it seemed like there were 3, maybe 4 different types of dinosaurs. This show has a new type every episode. How is that possible? 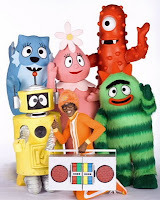 Yo Gabba Gabba: If you haven’t seen this show, drop what you are doing and go check it out. YGG is like if Sesame Street mixed with the cartoon sequence in any movie where the main character accidentally takes drugs. It’s a funky show with unique monsters who are all very talented singers and dancers. The show mixes in C-list celebrity cameos (Weird Al! Rachel Dratch! Angela from The Office! ) and a pimped-out ringmaster named DJ Lance. This guy has sideburns that go on for days and is almost as proud of them as he is of his neon orange jumpsuit and fur hat. 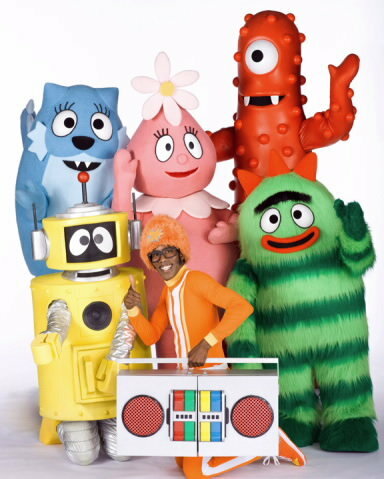 Yo Gabba Gabba incorporates a lot of music into the program and the songs all have good messages for kids. Songs about brushing your teeth, being nice to others and always tipping your crack dealer. OK, so I made that last one up. But if they had a song about it, it would be very nice. They also have a character named Brobee whose superlative in the title song is that he’s “the little green one”. Brobee is either clinically depressed or possibly bipolar; I’m not sure because I’m not a psychiatrist. 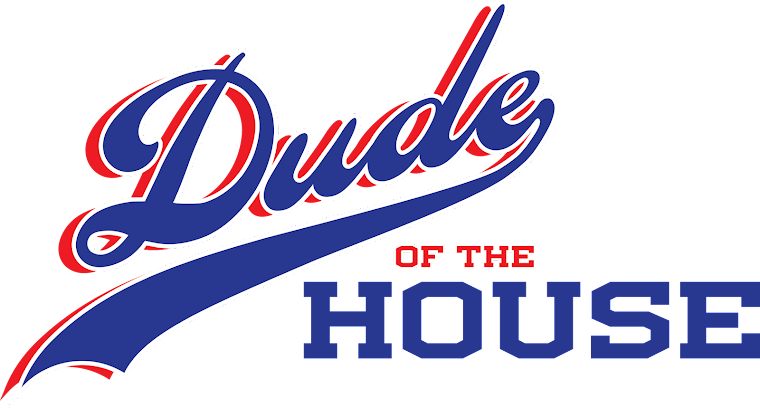 Either way, it’s a pretty cool show and it’s on like 17 times a day. When he’s ready, I’ll introduce BC to the wonderful world of Curb Your Enthusiasm, Parks & Recreation and Louie. I imagine that will be at least a few weeks from now, though. In the meantime I’ll look forward to those shows and several other good sitcoms returning over the next few weeks to populate my Tivo, where they will reside comfortably next to episodes of Sesame Street, Dinosaur Train and Yo Gabba Gabba. Thanks for clarifying. What about 90210?